I am sure the popular classifieds site Gumtree needs no introduction. Whenever I am on school holiday (like now), Gumtree is my favourite go-to site where I camp for part-time jobs regularly. Occasionally, I'll take a look at the Stuff For Sale section to see at what sellers have to offer. 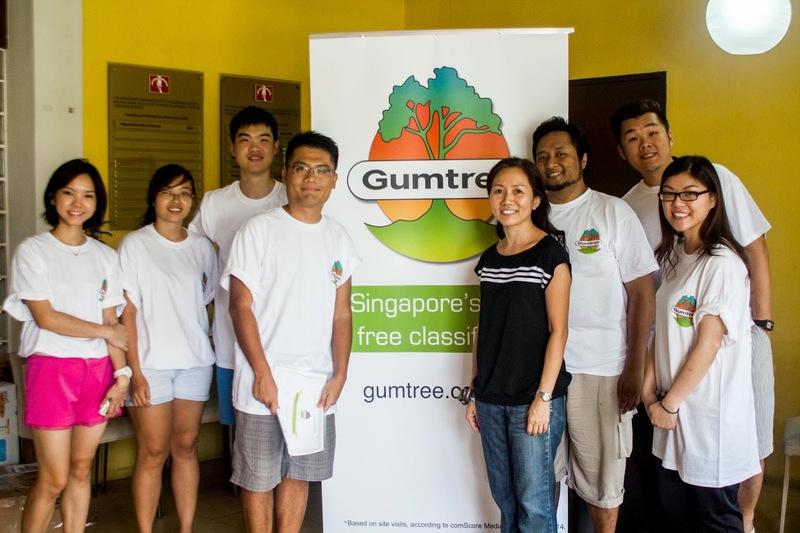 I am part of "The Giving Tree" campaign, a corporate social responsibility (CSR) project by Gumtree. Through the project, Gumtree hopes to connect with the disadvantaged children in Children's Aid Society's Melrose Home, and make a little difference in the lives of the children. They hope to encourage the spirit of volunteering, in which I am thankful for. As a regular volunteer myself, I understand the needs of showing more love and warmth towards the underprivileged in Singapore. I used to volunteer for an organization in which the Melrose Home is a part of, therefore this campaign had an even deeper meaning and significance to me. While I might not have been there personally on the day the other bloggers went down to help out, Gumtree generously gave me an amount of money to purchase brand new items on their website which I thought would be beneficial for the kids. I went out of budget and had to fork out my own money in the end, but it was all well worth it! Trading goods on Gumtree is SO EASY! Sellers can post their items up for sale whilst buyers can search for items all for FREE! :O There is no need for sign-ups and you can enjoy both buying and selling online, readily available to you 24/7. All you need is just your phone or email account. I contacted my seller through text messages and phone calls. I love how everything is organized categorically, minimizing confusion when I surf their site. You can narrow down your search with the item search function and even the filters too! Absolutely idiot-proof.